Couples who want to get married want to have the perfect wedding celebration that they will treasure forever. It has to be perfect as a celebration of love and the life that they will share together. 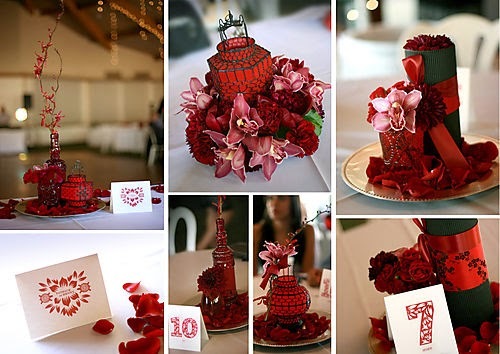 As such, marrying couples have the freedom to choose the theme and details of their wedding. They can choose any program that will satisfy the desires of their hearts. One of the best choices for wedding themes is the Asian wedding style. The brides and grooms who love anything Asian can enjoy their own Asian wedding. It can let one have the feel of the ethnic traditions and oriental culture. An Asian wedding is perfect for anyone who wants to have a taste of the culture of Asians. It can also allow one to enjoy the simplicity of a Zen-like environment while maintaining the elegance in the ceremony. Asian-themed weddings will put emphasis more on the simple and solemn celebration of the ceremony. It also has due regard to environment and nature. It can make the wedding as pure as the love that the marrying couple shares. There are many Asian countries in the East whose wedding traditions you can copy on your own. However, the Japanese and Chinese cultures are the more popular ones. You can easily look for decorations, materials and details that will go about with the traditions of these two countries, considering that the Western world has embraced the elements of these oriental cultures. 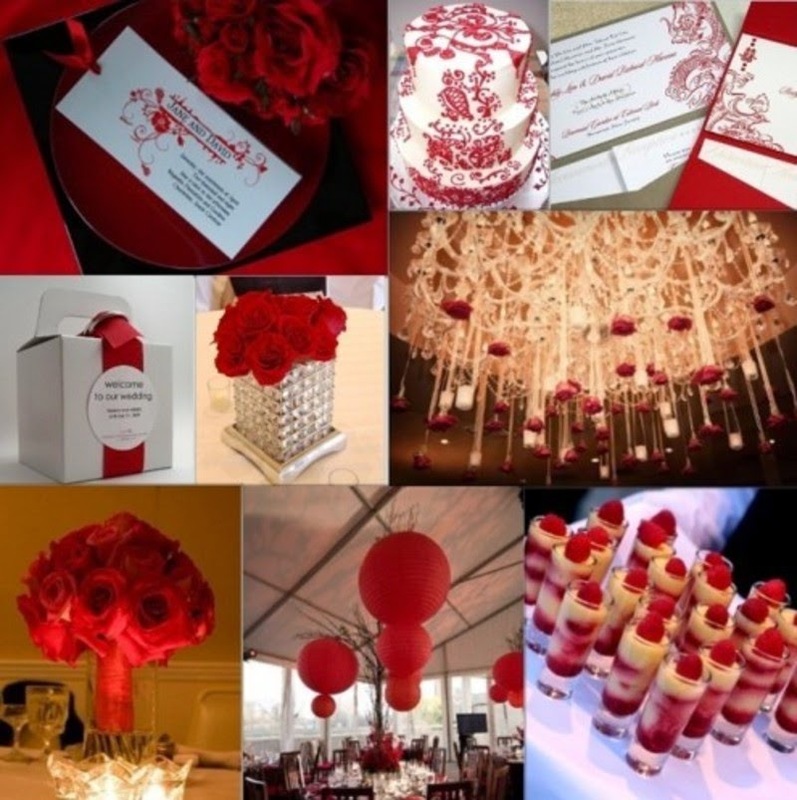 Once you have opted to take on an Oriental wedding, then you can freely consider wonderful colors in your wedding day. Generally speaking, white is not the best choice for a gown in an Asian wedding. In the oriental culture, white is the color of death. It is not wise to stick with white if you are going all out oriental. Red is the lucky color, together with black. These two colors are believed to bring the marrying couple luck and prosperity in the days to come. So it will be great to consider these color schemes and experiment on the new choices that you have. You can actually consider surveying your local community for designers that have knowledge of the Asian styles. The online community also gives a lot of choices for providing ideas when it comes to genuine Oriental apparel. An Asian bride will naturally display her beauty by exuding elegance in her simplicity. This means that you have to seek for a gown with simple lines and not too many embellishments. Use fabrics that are truly reflective of Oriental style. Choose for footwear strappy sandals that will complement the elegant gown. The best detail that an Asian bride focuses on is her hairstyle. It must not be wavy or curly or let loose. The hair must be styled with a dramatic flair to complement the simple gown. There is a wide range of choices when it comes to details. 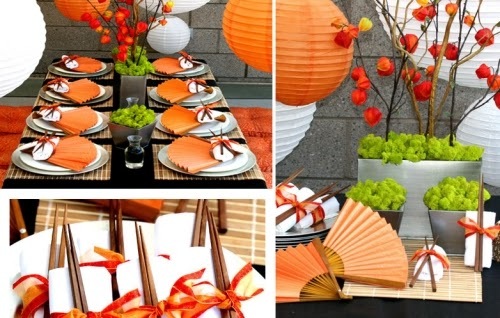 You can have paper lanterns, origami or pottery decorations. You can also put up a small pond with the koi fish swimming in it. Orchids and lilies are wonderful options for the flowers. You can also put small fishbowls in the center of the table with white and black stones in it. Just consult your wedding planner for a more coordinated scheme of your choices. You can have fun too with the wedding favors that you will give to your guests. One of the popular choices couples do is to give out fortune cookies. Guests have fun in reading some predictions. It is also a tradition to give out seed packets that can be grown by the guests in their households. This is a symbolism of the love of the couple that will continue to grow. For a more practical choice, you can have some of your wedding favors become the decoration itself in the wedding tables. Bamboo stalks are used to signify good luck. The guests can simply pick it up after the celebration as a wonderful memento. Consider the tips and notes provided above and you will definitely enjoy a delightful Oriental celebration on your wedding day.